Though it’s impossible to replace the real live experience of sniffing out scents in a boutique, digital tools can make that process more fun, and perhaps even more efficient. There have been so many new developments in olfactive e-commerce, most obviously, robust sampling programs offered by individual brands or fragrance boutiques. Check out an old list of some brand-specific sampling programs. Here ‘s a breakdown of what we’ve seen so far. Nose stands out because of their wide range of niche fragrance brands and discovery tool. The site and shop use a diagnostic that analyzes fragrances you already wear to identify your favorite scent families and suggest similar scents. Unfortunately, at the moment, the tool only allows for up to 5 scents to analyze. For someone with a larger scent library, it’s not as helpful as it could be. Luckyscent has by far the widest range of niche fragrance brands and are constantly introducing new products. Their scent descriptions are thorough and they have lots of reviews, although, over the years, I’ve noticed many of them disappearing. Perhaps this is part of shifting stock. That’s one trouble here. Luck Scent has great stock, but you can’t smell everything in store with the limited space in their tiny boutique. They send great email updates and have a fun sampling program. For $3-5 per scent, you can select and buy samples to be shipped to you. At Scent Bar, you can peruse solo, with friends, or get expert help from the staff. 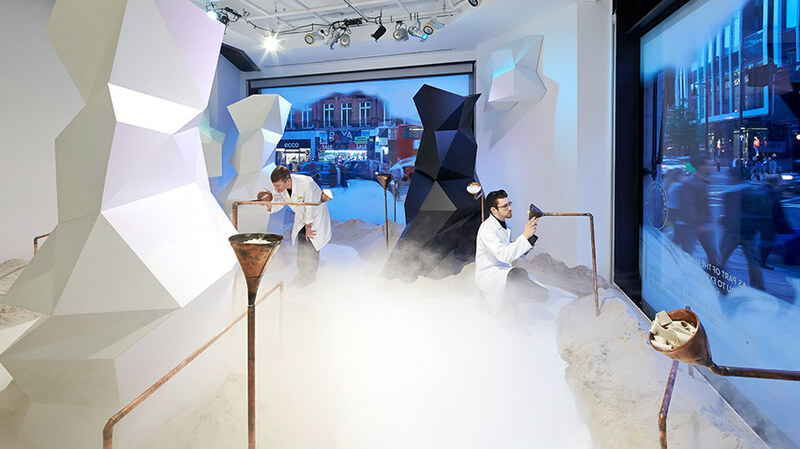 Part of Selfridges’ Beauty Project, until June 27, 2014, the lab offers a unique ipad diagnostic and exploration experience that includes a bottle of perfume for £65. Selfridges perfume collection is focused more on commercial than niche fragrances. When you buy a ticket, you are fitted with the perfect original scent for you. For the fun of conversing with lab coats in a fog-filled room, until and 50ml bottle of a signature smell, it seems worth it. Buy a ticket here. Over the past few years, other notable boutiques have joined the perfume party, such as Bergamot, Pinrose, and Scentsa. Several apps have also appeared but need considerable more development to be truly user-friendly. Iperfumer is an app that simply does not work. What’s more, their perfume database is predictably limited to the fragrances they create. Perfumance looks really good right off the bat, but they have a strange database of a couple of scents per brand. For example, Frédéric Malle, Byredo, and Heeley are represented by a few seemingly random scents in the larger collection. Sephora has an in-store app, Scentsa, but alas, is also focused on commercial fragrance. Pinrose follows a subscription sales model with their own original collection. The program enables shopper to learn about their own unique fragrances through a synesthetic tool – seeing or tasting smells – to explore the best fragrance for her or her. Bergamot is another company that follows a subscription model, sending you 3 different scents each month to discover. It’s a great concept, focused on niche fragrances. It’s perfect for those getting into niche fragrance for the first time. More experienced fragrance hunters will likely want to see the collection expand dramatically. Scentbird takes inspiration from the success of Warby Parker. You get fragrances in the actual bottle, try for a few days, and keep it if you like it, return it if you don’t. Neat concept, and a fun, personality-cased discovery method. At present, the company’s offering is limited to commercial fragrances.